College News | Admissions Open for KCLAS! 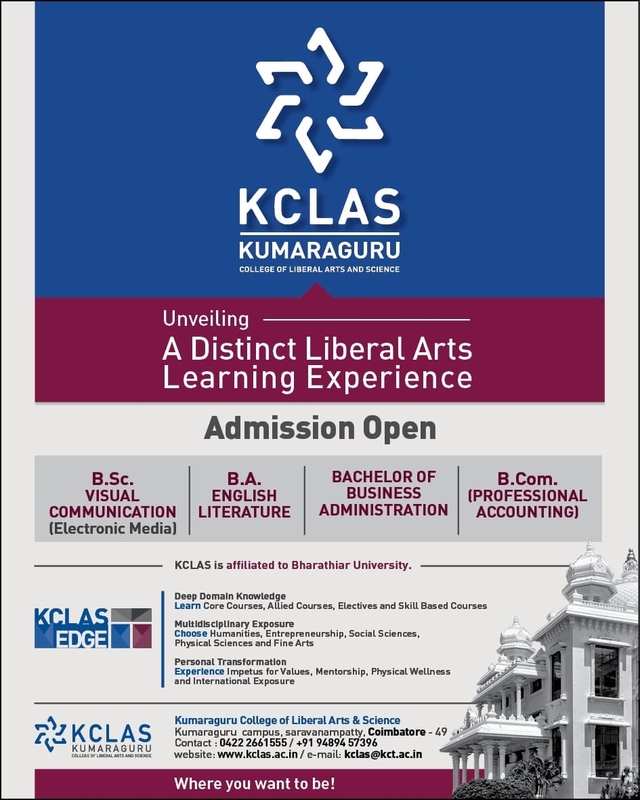 Dear alumni, We are happy to announce the exciting launch of Kumaraguru College of Liberal Arts & Science (KCLAS) in the beautiful KCT Campus, which will complement our Engineering and Business programs. We welcome students who have aspirations to excel and make an impact!